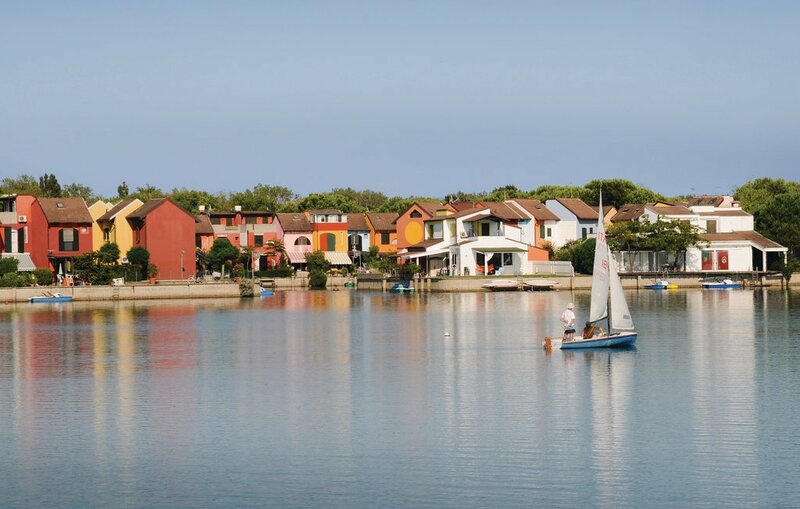 Albarella is a private island located in the lagoon south of Venice, in the Po Delta Regional Park and it represents one of the most elegant and equipped sites of the Adriatic coast. It is linked to the land through a bridge. The island is totally focused on tourist activities and offers many solutions for those who are looking for nature, relax, sport activity and fun. Guests' safety is protected by a careful all day long security service. The island is accessible only to authorized people. Here cars are not allowed: a small electric train connects during the day the most interesting sites of the island. You mainly move by bike which are to be rented on site for adults and children. Animals like fallow deer, pheasants, hares, herons, hawks, egrets are free in their natural habitat. There are 4 km long sandy beaches (partly equipped) and many events and programs for children. Albarella is a tourist site suitable for families offering a children playground with trampolines, play house, mechanical bull and baby cars track, ideal for their fun in a safe environment. The island also offers a large choice in terms of sport activities, like golf court (18 holes), tennis court, riding school, archery, mini golf, bowling, aerobics, jogging, skating, basketball, volleyball, football, table tennis, beach volleyball, beach tennis, beach soccer, water aerobics, swimming, equipped outdoor gym, sailing , windsurfing, fishing and deep sea fishing. Ideal starting point to visit the Po Delta Regional Park and the close cities of art like Venice. In the residence there are commercial activities like supermarket, boutiques, bakery's, tobacco shop , newsagent and hairdresser, perfumery, cash dispenser, sporting goods, gifts, footwear and handbags, furniture, pharmacy, laundry, jewelry. Medical service, nursing and ambulance services in the summer. Several restaurants, bars, pubs. Have fun in the disco or during the activities proposed by the multilingual entertainment service for children and adults, or enjoy evening events organized in the arena. At the entrance of Albarella Island there is the marina with berths for boats from 6 to 25 meters, equipped with water and electricity. Some of the facilities are upon payment: special price thanks to the rechargeable card to be collected upon arrival. The pictures of the interior of the accommodation are only sample pictures. Be the first one to tell us about your rental experience while staying at S3 Maisonnette. Let us know if the listing matched your expectations. You can share your comments about the location, property owner/manager and all the unique features that made your stay a memorable one.